Wuppertal/Berlin â€“ More outpatient treatment at hospitals is demanded by the chief on Germanyâ€™s largest health insurer.Â The CEO of Bramer GEK, Christopher Straub, warned on Monday the hospitals in Wuppertal, to use the economic pressure in order to break up old structures. â€œIt is not, as claimed, a closure of clinics, it underlines the idea of more outpatient care services at clinics,â€ said Straub. Currently there are about 2.000 hospitals in Germany. In a statement, Straub, pointed out that in his opinion, much more frequently than before, â€œthe interdisciplinary, personnel and technical infrastructure of the hospitals should be used for short inpatient and outpatient careâ€. Doctors should be able to provide both outpatient and inpatient care. â€œAn integration of outpatient and inpatient care services is the best way to gain competitive advantage in the marketâ€, said Straub. Nowadays more and more treatments could be performed faster and gentler on an outpatient basis. 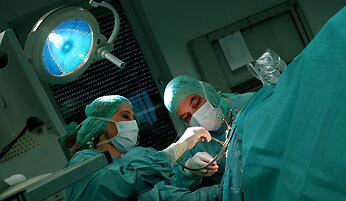 The German Hospital Federation had earlier called out to the federal government to relax the austerity package. The Chief Executive Georg Baum said that â€œthe billions of surpluses in the Health Fund and in the national health insurance agency should dissolve the hospitals anger over the continuation of the austerity measures at the expense of about 600 million Euros in 2012.â€ Cost containment will continue despite the surplus of billions of euros and despite the apparent problems of the hospitals. According to the Hospital Rating Report 2011 to 2020, presumably without countermeasures currently about 10% of the approximately 2.000 German hospitals will have to close. The economy will be especially hard on smaller hospitals in administration by the local authorities.Â The rural areas will be particularly affected.